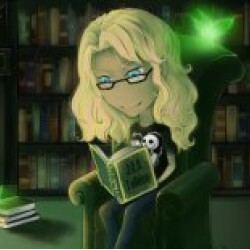 This review was completed by Amanda Harbin, staff reviewer with the YA Fantasy Guide.I almost didn’t finish this book, but then I did and in a hurry. The reason that I almost didn’t finish this book was mostly an effect of the first few chapters of the book. They were cliché and to be honest a bit annoying. There were moments when I thought, “okay, I’m getting bored, I’m going to put this book down as soon as I finish this paragraph”, but then ten minutes later I wouldn’t be able to stop thinking about the story and the book would be back in my hands. Lucky for me I was rewarded with a unique and engaging story. 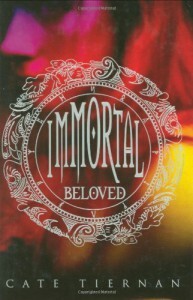 Immortal Beloved is a YA Fantasy that didn’t make me as an adult feel too horribly guilty for reading. This was one of the first novels that I have read in which the immortal main character, Nastasya, had a valid reason for acting like a juvenile. The emotional layers that she had buried herself under over 400+ years leave her developmentally stunted, yet she is still a woman and the writing toggles back and forth between the woman and the child within Nastasya’s character impressively well. The love story is secondary to Nastasya’s personal journey and its refreshing not to be bombarded with lusty angst in a YA Fantasy. When the romance presents itself it is sufficiently tormented to make the reader anxious but it’s not made out to be more than what it is, a general physical wanting. Maybe that makes me a little crazy, we’re all supposed to want deep passionate forbidden love that means something, right. The problem is most stories miss the mark in making it “mean something”. By the end of this novel the wanting definitely means something more, but it’s left fairly undefined and uncertain. I think that the think that I like the most is that the author never tries to make the reader believe that the meaning is the reason for the wanting and I think that makes it more real. We all know what wanting feels like, but it takes a long time to really build in the meaning of a relationship. All in all I was quite surprised at how well this novel worked for me. It was an unexpected and fun read. I might be a little biased because I have a penchant for Viking Gods ahem Thor, so maybe my view is a little slanted, but either way it is a worthwhile read.